Maoists have either resisted the demand or backed out of the promise to have their private army dismantled and to hand over their arms to the state. But on April 10, things moved at an unexpected speed in Nepal. Prime Minister Baburam Bhattarai told the high-powered Army Integration Special Committee that the Nepal army was going to move into all 15 Maoist cantonments, take control and seize the the weapon containers lying there. Fifteen teams of the technical committee of the AISC had spread out to these camps in order to have over 9,000 combatants vacate them by the evening of April 12. A maximum of 6,500 were to be given the option to join the Nepal army, provided they fulfilled the “relaxed” eligibility criteria. The rest were to be given the option of going into “voluntary retirement”. The army was to take control of the empty camps after that. 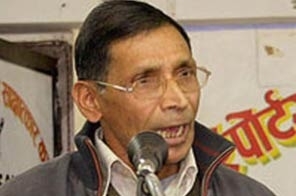 Senior vice-chairperson of the Unified Communist Party of Nepal (Maoist) Mohan Vaidya ‘Kiran’ has said if the integration of the People’s Liberation Army is not “respectable” and a People’s Federal Republican Constitution is not drafted, the Nepali people will have a “right to revolt” again. 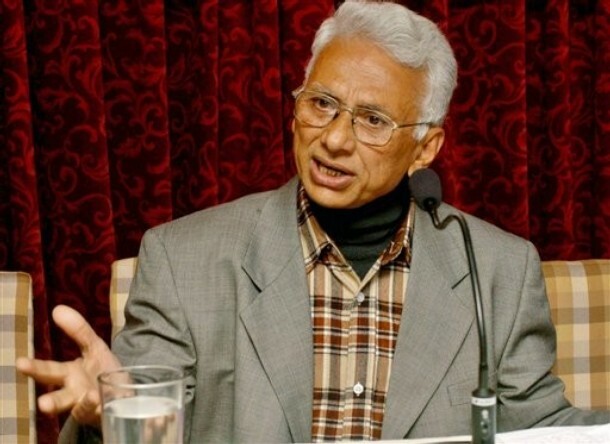 In an exclusive interview to The Hindu, Mr. Kiran reiterated the demand for the resignation of the government, led by his party colleague Dr. Baburam Bhattarai. 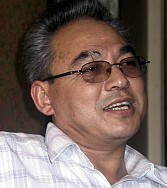 Pointing to mistakes committed by the party, the Maoist ideologue said that during the war they had created an “army, base areas, people’s governments”. The base areas were opened up and the parallel governments dissolved soon after the Maoists entered open politics in 2006. Mr. Kiran claimed this was wrong and not in favour of the people whose issues Maoists had raised. “On integration of our army, the party stand was it should be collective and armed integration of combatants with the chain of command of PLA intact. But what is happening now is disarmament. A national security policy should have been framed first, but we did not pay attention to that either,” he said. The political rift within the Maoists has translated into operational disunity, with the establishment faction of chairman Pushpa Kamal Dahal ‘Prachanda’ and Prime Minister Dr. Bhattarai calling meetings of their own loyalists while Mr. Kiran’s dissident faction holds parallel meetings. Separate committees have been set up at all levels, separate offices are used as a base and independent programmes are held. SURKHET: Maoist PLA fighters, who were disqualified during a verification carried out by the United Nations Mission in Nepal, today besieged offices of Maoist district committee and Bheri Karnali state committee in Surkhet to protest party leadership’s deliberate neglect of duty to pay attention to their plight. About three dozen disqualified fighters reached the offices at around 3pm today and barred party leaders and cadres from entering. “We will not allow anyone to enter the office until our demands are met,” said Naradmani Poudel, one of the disqualified fighters. “These offices belong to us from today and anyone trying to enter forcefully will face the consequences.” The disqualified combatants also seized a car and two motorcycles belonging to Dashrathpur-based 6th Division Cantonment. “We held talks with the party, submitted memorandum and took other peaceful measures to draw the party’s attention to our plight, but all went in vain. 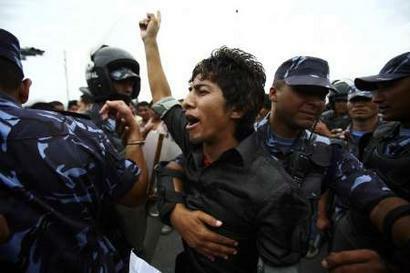 So, we are now in the final stage of our protest,” said Poudel. “The party coaxed us into joining the force when it needed us during the war, and now it is trying to welsh on its commitment. 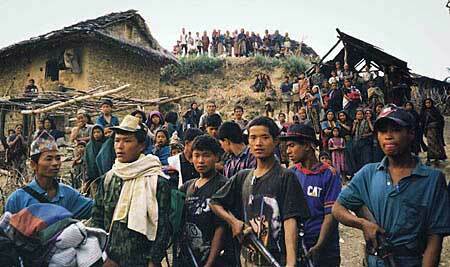 For us, the war is not over, and we are fighting for our rights,” added Poudel as he bristled with anger. 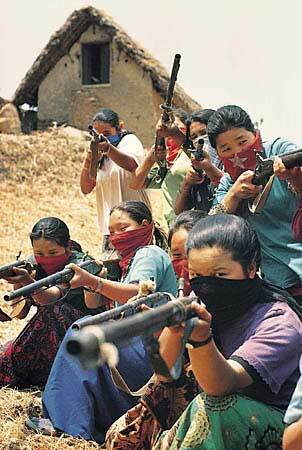 Nepal: As the People’s Liberation Army is disbanded, what happens to the warriors? KATHMANDU, Nov 21: With categorization of around 2,000 combatants by Sunday, a few trends relating to the management of ex-Maoist fighters have emerged: majority of ex-Maoist combatants are likely to opt for voluntary retirement, around forty percent for integration and an insignificant number will go for rehabilitation packages. “Altogether 1,941 combatants, including 1,577 males and 364 females, have been categorized by Sunday. A majority of the categorized combatants — close to 60 percent — have opted for voluntary retirement while around 40 percent have chosen integration,” said Balananda Sharma, coordinator of the secretariat under the Special Committee when asked about the general trend in the ongoing categorization process. Preliminary data also shows that only a very nominal number of combatants are likely to opt for rehabilitation packages that include vocational training and education. Of the 497 combatants verified over the last two days in the Shaktikhor cantonment, only around 20 combatants have opted for rehabilitation package. Even these combatants have sought time for further consultations and are likely to review their decisions, said Sharma from Chitwan where he is leading a categorization team. People involved in the verification say a very small number of combatants are opting for rehabilitation packages mainly because of the past experience of rehabilitation of disqualified combatants and lack of trust over implementation of the promised rehabilitation schemes.